This trend toward a multi-cloud infrastructure will only continue to grow in adoption as technology evolves and advances. Why? With the multi-cloud model, you achieve greater reliability, greater flexibility, data sovereignty, competitive pricing and more options to match workloads to the service that is the right fit for your enterprise. This model doesn’t come without its own set of challenges, such as how to manage and protect your valuable data. If this has been a concern on your mind, keep reading to learn how you can secure your priceless information while still reaping the rewards of a multi-cloud model. In many cases, protecting your digital assets will require a new mindset for your IT. Your team will need identity and access management, encryption, data migration, key management, security monitoring, risk analytics, and backup and recovery; these are just some of the top data management needs enterprises are realizing when operating in multi-cloud environments. Be able to supplement the native capabilities of the solution with their own data protection systems. These may sound like basic actions, but they can be difficult to accomplish. Facing and working through these challenges is key to successfully managing a multi-cloud environment. After all, leaving any business at risk for data loss, downtime and lost productivity is unacceptable. With a multi-cloud environment, security is not the responsibility of just the cloud provider alone, it is shared with your organization, too. [click to tweet] Your enterprise needs to communicate with the cloud provider about data security and backup recovery processes and policies. You cannot assume the cloud provider will handle everything because they have outsourced the infrastructure. You also need to have an efficient and effective method of protecting your data while keeping it scalable for future growth. For maximum multi-cloud security, it is not enough to rely on someone else—you need to be in control. What does it mean to have data spread across multiple cloud platforms? Do you know where all of the data resides? Can you retain control of data across multiple clouds? 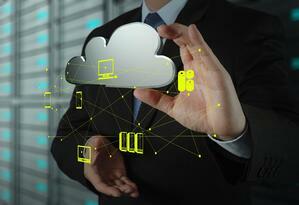 Who owns data security and compliance in the cloud? Who is liable if a data breach occurs in the cloud? It would also be wise to ask each cloud provider the same questions - you may be surprised by their response. Once you are confident with the answers to these questions, you will be more prepared to move in the right direction toward a well-protected and well-managed multi-cloud environment. It makes sense that a growing number of enterprises are adopting multi-cloud models today. While it may be more challenging to manage and secure compared to a single-cloud or legacy infrastructure, it’s not impossible to do. With the advice provided here, you will be on the right path to successfully manage a multi-cloud environment for your enterprise, but with the complexities involved in this infrastructure, it is worthwhile to gain personalized guidance from one of the experienced professionals at WEI. Want to know more cloud security tips? Download our tech brief titled "Cloud Security Tips for Protecting Shared Technology."